The year kicked off in one of the most unexpected ways with Soulja Boy hopping on Instagram Live and giving what will likely go down as one of the best memes of the year. He may claim 2018 as the year of his comeback but we're witnessing his career resurrect in front of us right now. While he's been getting more bookings since his infamous "TYGA?!" clip and his subsequent Breakfast Club interview, he'll, unfortunately, won't be performing at Fordham University as part of their annual music festival. According to The Blast, Fordham University Campus Activities Board has dropped Soulja Boy from their upcoming Spring Weekend Concert in NYC. 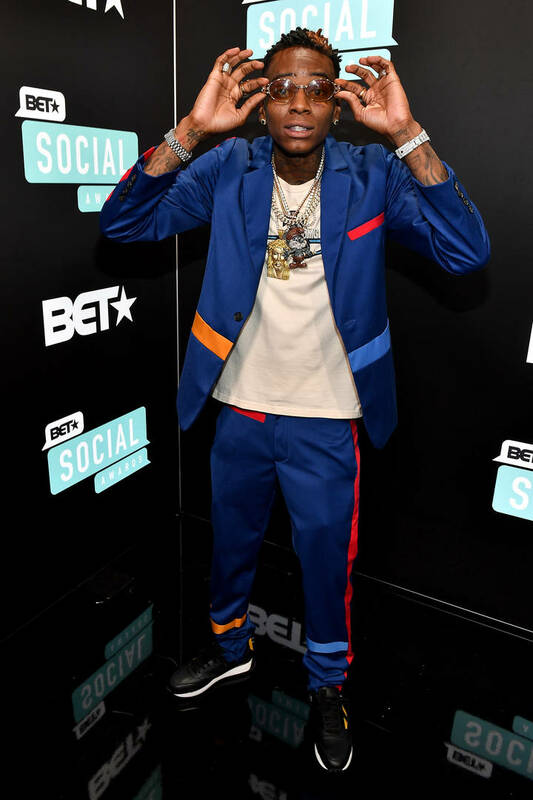 The rapper was set to headline the festival but following his arrest for probation violation, the board removed Young Drako from the line-up. They apologized to anyone who was "excited" to catch Soulja Boy live in concert. Soulja Boy was arrested last week after he checked in probation officer. The rapper was arrested on a possible probation violation which stemmed from gun ammunition found inside the rapper's home.